San Francisco – Facebook is releasing a feature called Marketplace that will let users post items for sale and shop for things to buy, like they can on Craigslist. The world’s largest social media company is betting that the collective memory of the internet is rather short. Facebook started a similar service – also called Marketplace – in 2007, but it never took off and was offloaded to a third party called Oodle in 2009. Things may be different this time. For one, the old Marketplace worked only on computers and the majority of Facebook’s users are now on mobile devices, which Craigslist doesn’t even make an application for. Phones also give Facebook better location data, so they can match people with buy-and-sell opportunities in their area. Facebook says it’s confident the service is ready for prime-time after testing marketplace features for more than a year within Facebook groups. More than 450 million people visit buy-and-sell groups on Facebook each month, Mary Ku, director of product management, wrote in a blog post. Still, Facebook has historically had issues with getting commerce features off the ground, in part because users see the site as a place to catch up with friends, not shop. Shares in EBay, one of the original online marketplaces, fell as much as 3.5 percent to $31.75 in early trading after Facebook’s announcement. 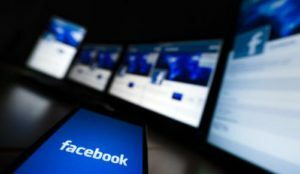 Facebook won’t make any money off Marketplace because it’s leaving buyers and sellers to transact however they wish, which can be done off the site. Starting on Monday, people can get to it via a “shop” icon at the bottom of their mobile applications, but only in the US, UK, Australia and New Zealand for now.